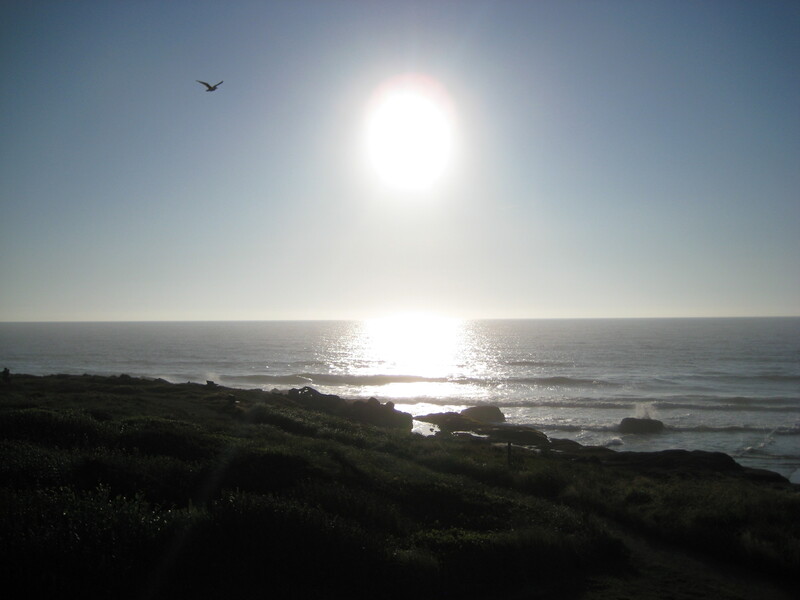 I’m writing this post from the beautiful coastal town of Yachats, Oregon. I absolutely love the Oregon coast, and I adore Yachats. It’s a tiny little town that is full of sheer beauty: one of those places that somehow makes you appreciate just being alive. I’ve been here twice before: the first time when Jeff and I came alone a couple of years ago to celebrate our anniversary and the second time just this past March when we (meaning, all four of us) rented a house here for the weekend to get away for the first weekend that our house was up for sale. This time, I’m here with my mom. It’s been a very long time since just the two of us have spent any time together and some circumstances told us it was time to reconnect. So, I took a couple of days off work and we met here in Yachats, staying at the Fireside Motel. It’s not the fanciest place I’ve ever stayed by far, but you know what? It’s pretty awesome in its own right. The room is a bit on the retro side, quite large (king bed, thank you very much) and has a fireplace and a balcony with an oceanfront view that is more often found in the kind of place that costs a heck of a lot more than some $100ish a night. No wonder this place gets great reviews on Trip Advisor! Sunset from my hotel room balcony. It’s been nice to set aside the day-to-day happenings of life for 48 hours to spend some time with my mom, for sure. But I’ve also gotten something out of this brief getaway that I didn’t quite expect: a chance to take a deep breath and take some time to be by myself. And wow, is it ever nice. It started on the second half of three-hour drive here yesterday. The first half was somewhat ho-hum: a straight drive down I-5, listening to the latest troubles of the world on All Things Considered, NPR news updates, etc. But once I got off the highway and went through Corvallis, for the next hour and a half, it was just me and the open road. The day was absolutely gorgeous, so I opened the sunroof and my windows. The wind was loud and my hair was flying as if I were in a convertible navigating the sharp curves that went up through the coast range and down again. 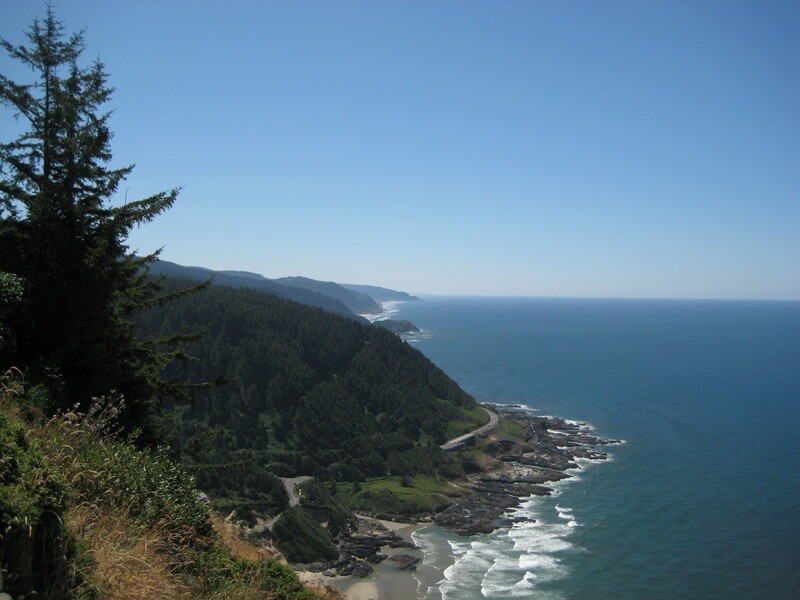 My drive took me through the Suislaw National Forest with the sunlight glistening through the trees the towered above the road, down into valleys of farmland and eventually alongside a river with its swift rapids until I reached the turnoff for Highway 101 at the coast. 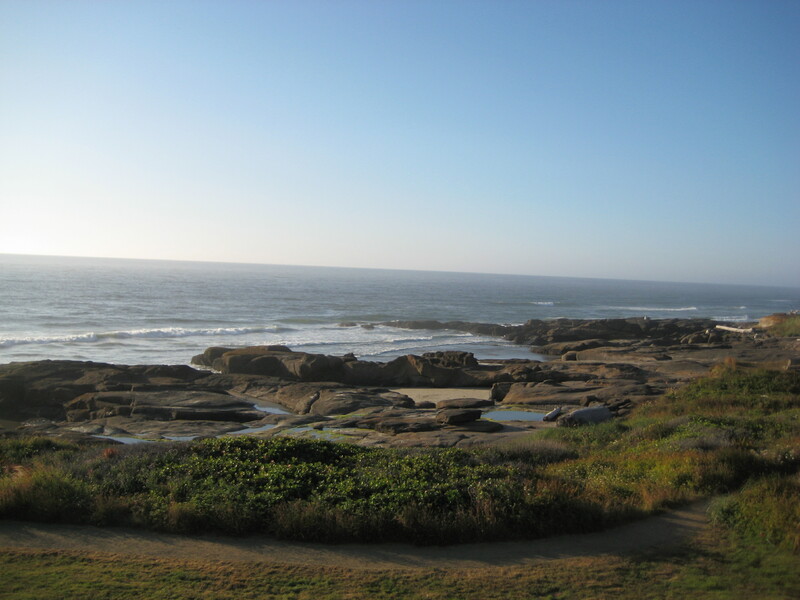 Once in Yachats, I checked into my own room where I quickly realized how nice it was that there was no one asking me for anything, no one whining for some inconceivable reason, no one who needed to eat dinner immediately…just me with my mom a couple of doors down, some wine in a cheap hotel glass and the sound of waves crashing right outside my room. Last night, I went to sleep in my king bed to the sound of those waves and woke up to them early this morning. But no one was dictating that I had to get up, so I laid there and eventually went back to sleep until I got out of bed, not because I had to, but because I wanted to. Balcony view in the opposite direction. I’ve had four meals with my mom and for each one, I didn’t have to ask anyone to stop touching something, or stop kicking me under the table, or sing songs, read a book or grab frantically into a bag for whatever toy might serve as a distraction until the meal came. I just sat there and chatted, and looked at the ocean. Tonight I’m laying in bed writing this post, and tomorrow I’ll sleep again until I’m ready to check out and drive back home. I can’t guarantee there won’t be a pit stop at the Banana Republic outlet when I pass through Woodburn before coming into the Portland area. Because that’s how I roll. I’m already looking forward to seeing Jeff and the Burplings because I have missed them. But when you an introvert at heart, as I am, I am reminded how refreshing – and necessary – it is to reconnect with myself every once in a while. 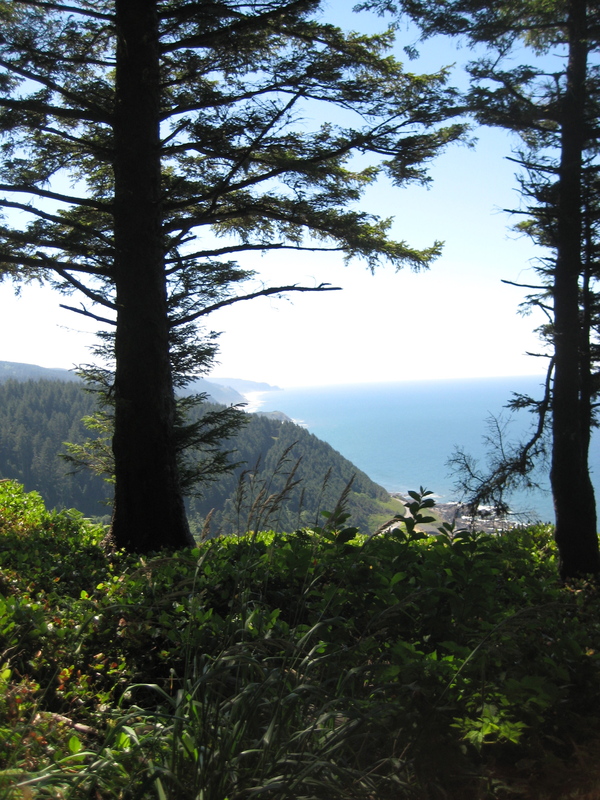 Pacific Ocean through the trees. 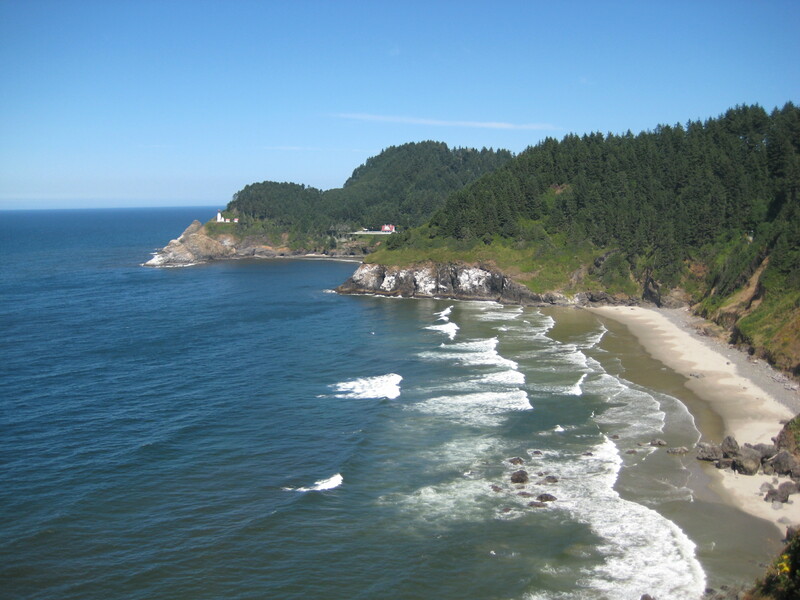 This entry was posted in Around Oregon, That's Life and tagged beauty, children, excursions, family, pictures and photography by burpobanter. Bookmark the permalink. Melinda, that sounds absolutely fabulous! Glad you got some time to spend with your mom…and yourself! I can relate, being a fellow introvert at heart. It’s so important to have that time for ourselves! Moms especially. We have to be so much to so many people, but that time to reconnect and refresh ourselves is priceless. I’m glad for you that you got that time, and got to spend some good time with your own mom!